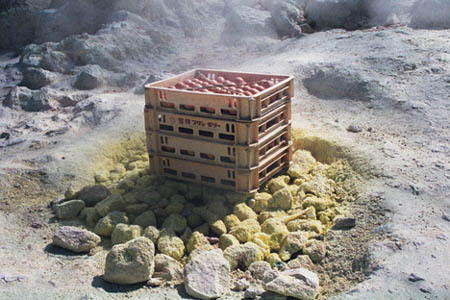 Eggs getting cooked over hot sulfur-laced steam vents on the side of Mt. Io ("Mt. Sulfur"). At the time I wasn't in the mood for an egg and had ice cream instead.